The Himalayan Yogi Swami Satyeswarananda Giri Maharaj was born in Bengal, India. Satya- Iswara-Ananda : Satya means "Truth," Iswara "God," and Ananda "Bliss." Young Satyeswarananda was associated with, studied Kriya under, and received his monastic training from Satyananda for the next twenty years. He worked intimately with Satyananda, managing his affairs while living together with him in a modest lifestyle, sharing a small thatched hut. His responsibilities were tremendous and included the organization and administration of hermitages in charge of general and technical schools, a postgraduate teachers' training college, printing press, library and a hospital. Many of these institutions were government sponsored, and almost all were residential. Satyeswarananda also helped Satyananda in all aspects of service activities while accompanying him up and down the country, holding lectures and seminars and attending thousands of Kriya followers. In the meanwhile, Satyeswarananda received concurrently a Master of Arts (M. A.) degree in philosophy, specializing in Vedanta philosophy, and a Law degree (LL. B.) from the University of Calcutta. He was both a practicing attorney and professor of law at the State Government College at the University of Calcutta. He taught in English. He is an accomplished Sanskrit scholar and is also conversant in several modern languages, among them Hindi and Italian. 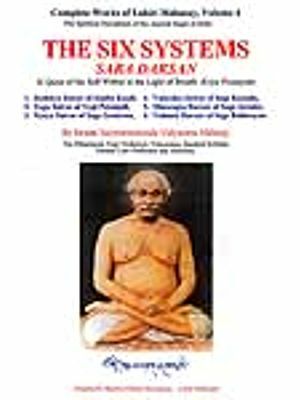 He is author of several books including Babaji (set in 3 volumes - The Divine Himalayan Yogi, Lahiri Mahasay, The Masters of Original Kriya), Sriyukteswar: A Biography, Biography of a Yogi (Swami Satyananda), and the Commentaries Series in several volumes which includes the Mahabharata, the Great Epic. He has presented Complete Works of Lahiri Mahasay in several volumes. Satyeswarananda joined the Swami Order with the blessings of His Holiness Jagat Guru Sankaracharya Bharati Krisna Tirtha of Puri. Jagat Guru's Swami disciple, Bidyananda conducted the ceremony. When Satyananda left his body, Satyeswarananda, or Baba - as he is popularly called - left for Dunagiri Hill in the Himalayas, where he used to go every summer for Kriya practice. The first three years he observed continual silence and became known as "Mouni Baba," or the "Silent Sage." Altogether Baba stayed in the Himalayas for twelve years, living in a small hut and a cave often together with Mahamuni Babaji and, at times, with Babaji and his disciples. 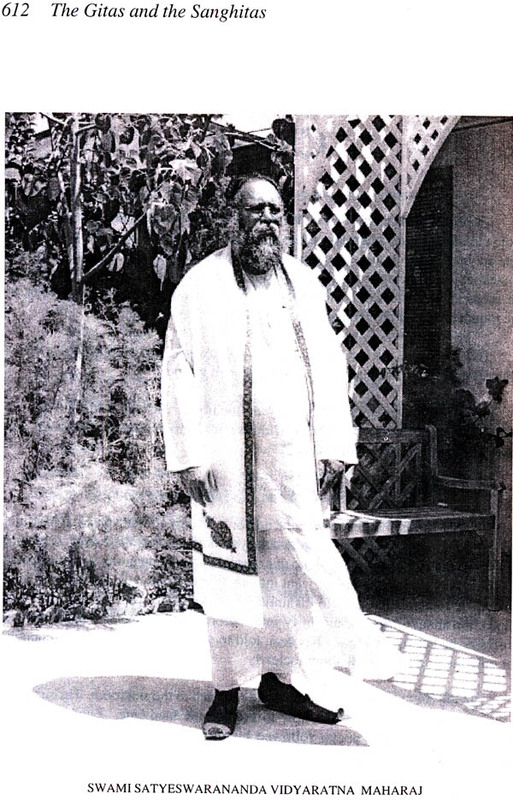 Satyeswarananda was initiated into Purna (Complete) Kriya by Mahamuni Babaji, who blessed him with instructions to reestablish the original, authentic Kriya as directly taught by Babaji. During the author's secluded years of meditation in the cave at Dunagiri Hill, Himalayas, on October 14, 1974, a holy man (who looked like Lord Jesus) brought a message to Baba (the author) from Mahamuni Babaji, the Divine Himalayan Yogi. The holy man said that he had approached Mahamuni Babaji to help the Western seekers of Truth. 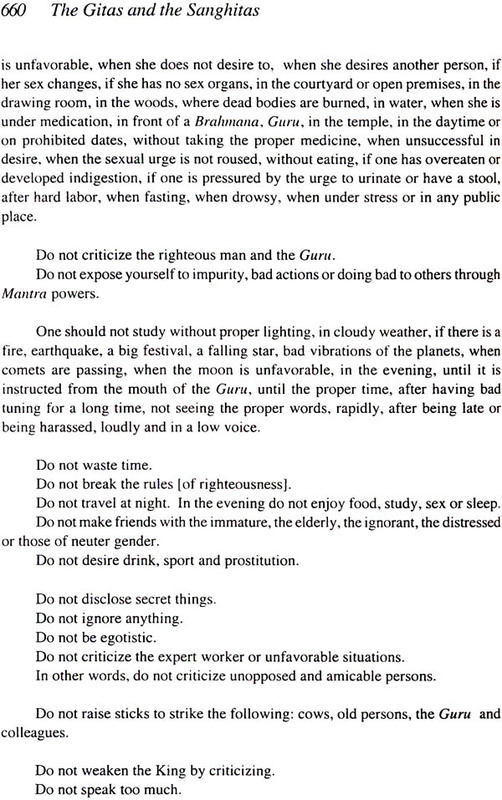 Babaji advised the holy man to inform Baba to follow him to the West. As a result, Baba visited Europe in 1975, leaving his secluded meditative life in the Himalayan cave. Again, the holy man visited Baba at Dunagiri Hill, Himalayas with this message from Babaji, who himself later instructed Baba to comply with his Providence to serve the Western seekers of Truth. He learned Kriya from Swami Satyananda with whom he was closely associated for long twenty years. Graduated from the University of Calcutta with a B.A. Philosophy Honors, received an M.A. 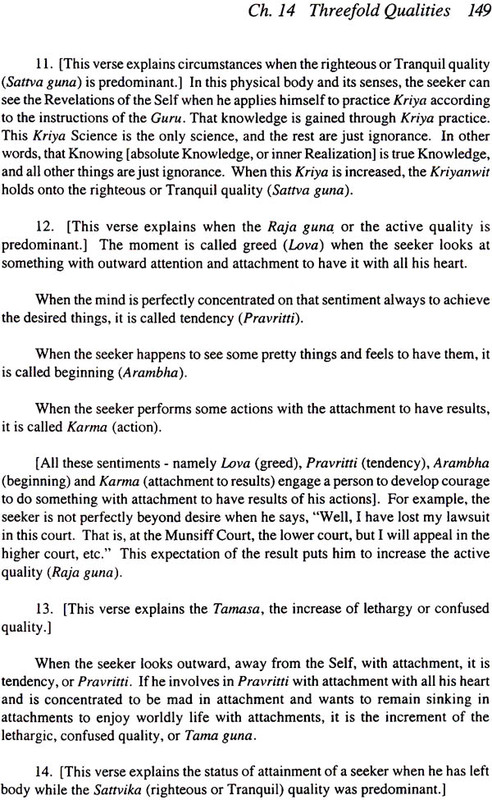 in philosophy specializing in Vedanta philosophy, concurrently received a LL. B. (law) degree, and also worked for Ph.D. program. Suddenly, without taking a vow, he observed CONTINUOUS SILENCE… (akhanda mouna) for three long years and was known as Silent Sage, Mouni Baba, Mouni Swami. In 1974, he received “Kriya Sutras” the message of Mahamuni Babaji at Dunagiri Hill Himalayas. In 1976, Mahamuni Babaji initiated him into Purna Kriya in the Himalayas and commissioned him to reestablish the Original Kriya. 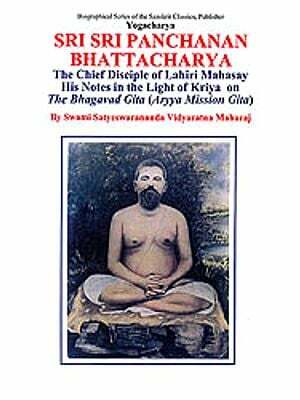 Lahiri Mahasay made Commentaries of 26 classical scriptures and treatises in the light of Kriya in Bengali, his mother language. We have produced his handwritten letters written to his chief disciple, Panchanan Bhattacharya. 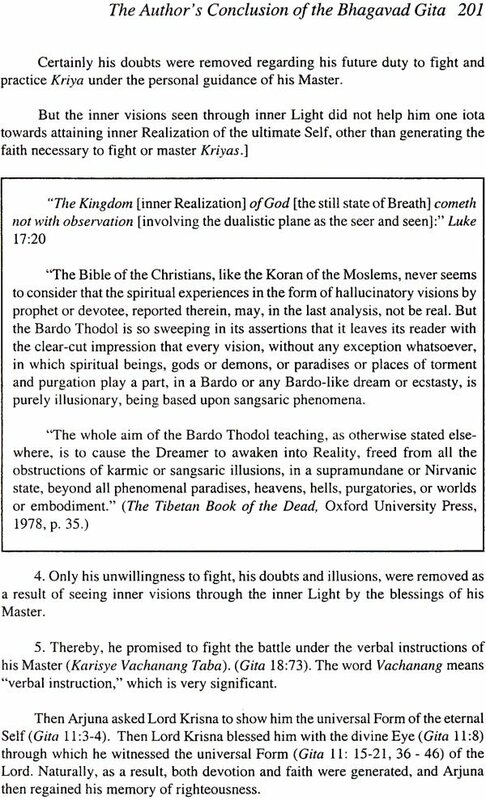 These are historical documents which will clearly demonstrate beyond anybody’s doubts that Lahiri Mahasay wrote the commentaries of these scriptures. 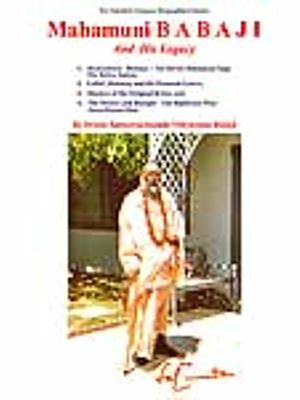 At the instruction of Mahayogi Mahamuni Babaji (the Divine Himalayan Yogi, Guru of Lahiri Mahasay), Swami Satyeswarananda, Vidyaratna Babaji, have translated these scriptures into English and have added his annotations in difficult portions. It is observed that books published in America are very expensive for the Indian Kriyanwits to afford. In fact, it is impossible for average people of India to procure these books from U.S.A. 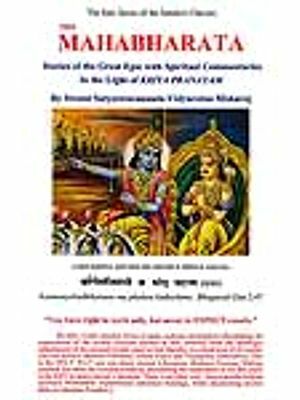 Considering this difficulty, the author is undertaking the project as a servant of all to extend the service to the Indian seekers of truth in general and the Kriyanwits/Kriyawnitas in particular; especially for the non-Bengalis. The author took this opportunity to REORGANIZE the series and put all Gitas and Sangitas in Volume 1, and all the tantrik scriptures in the title: Chandi and the Other Scriptures in Volume 2. 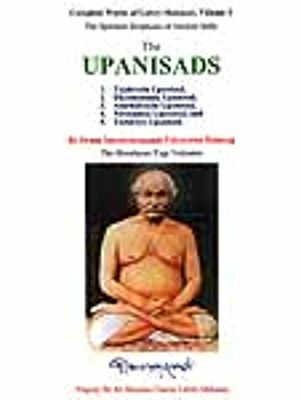 Lahiri Mahasay made interpretation of five Upanisads which are published together in Volume 3. and the Six Systems, Volume 4. The spiritual interpretation of Bhagavad Gita is published. It is not our desire at all to publish it for the general readers, rather we would like to keep it secret from the general public because the general public may not be benefited. On the contrary, it may harm them. 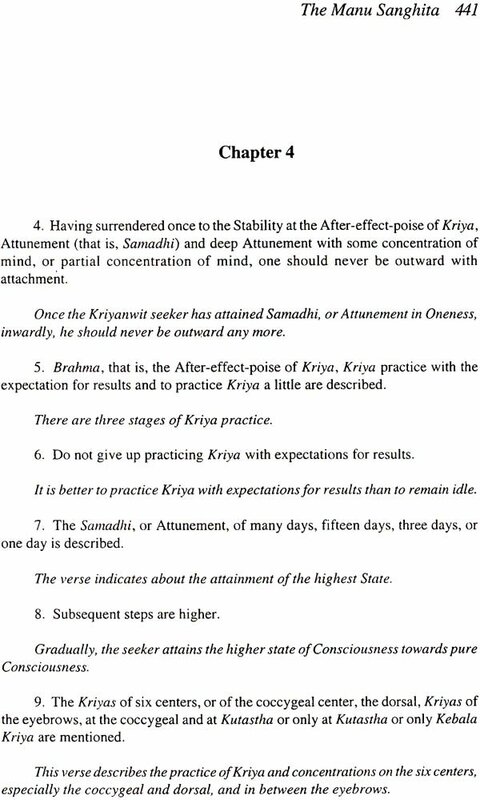 Only the Kriya followers will understand, but others will not be able to understand, as from the very beginning to the end, this spiritual Commentary contains Kriya and its relevant affairs. In addition, in many places in the form of examples and advice, there are certain things which remain unintelligible for the ordinary people who are habituated to understand things by applying their intellect. Even the sharp intellect will fail to understand or penetrate the inner Realization. So only those for whom it is published will praise this Commentary, and others cannot. Failing to understand by others and failing to understand by their sharp intellect, they may be tempted to misinterpret and confuse the Kriyaban followers. As they (the intellectuals) are full of egoism, and having strong ego and intellectual background, they may try and bring grammar and logic into play, and quarrel with the superficial meanings, words and arguments. So, they will lose the inner Wisdom of the Commentary and will quarrel with its language and will float on the river of language in vain. It is the golden treasure of devotees who follow the path of Kriya Science. As they progress on the Kriya path, gradually and easily they will be able to understand the inner meaning of the Commentary. But those who are not so advanced in realization through Kriya practice should not develop disbelief and displeasure over this interpretation. They will be able to understand the proper meaning at the right moment eventually, and gradually understand from within as they will grow in inner Realization through deeper Kriya practice. So by which Yogi’s grace (Yogiraj Sri Sri Shyama Charan Lahiri Maha-say) we received this spiritual Commentary, we do not alter the language and maintain it the same as we received it from him, publishing it in exactly the same form. We will not feel embarrassed or harmed by the adverse comments on the Commentary. The Himalayan Yogi Vedantist, Vidyaratna, Sanskrit Scholar, Former Advocate (Attorney), and Law Professor, the author of The Eternal Silence..., Babaji and His Legacy, The Divine Incarnation, Biography of a Yogi.